Lucy Ann Embry, 72, passed away on August 24, 2018 at the University of Kentucky Chandler Medical Center in Lexington, KY surrounded by her children and grandchildren. Born September 13, 1945 in Stanford, KY to the late Robert Woods Embry and Laverne Bourne Embry, she was a member of the 1963 graduating class at Stanford High School. She worked as Executive Director of Stanford Housing Authority for 32 years, where she oversaw over two million dollars in capital improvements. She was a past officer on the Kentucky Housing Association Board of Directors, Chairperson for numerous Midyear Conferences, and served on many committees. She was a member of the Southern Regional Council Small Agency Task Force and was inducted in the Kentucky Housing Association Hall of Fame in September 2017. She was an avid bridge player, a member of Logan Whitley Chapter DAR where she served as past treasurer and current secretary, a former 4-H leader, and a member of both the Four Corners Homemaker Club and Lincoln County Fair Board. She was also a member and deacon of the Stanford Christian Church. 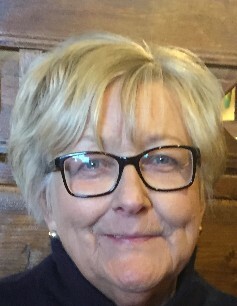 Survivors include her children, Ronnie Woods Gilbert of Louisville, KY, and Annalisa Ochs of Danville, KY; two grandchildren, Jackman Woods Ochs and Embry Fields Ochs both of Lexington, KY; and her dear friends and colleagues. In addition to her parents, she was preceded in death by a sister, Shirley Sanders. Visitation will be Monday, August 27, 2018 at Spurlin Funeral Home Chapel, Stanford from 5-8pm. Funeral service will be 1pm Tuesday, August 28, 2018 at the funeral home. Casket bearers will be: Lon Fields, Mike Fields, Tommy Bourne, Jackman Woods Ochs, Alex Ochs, and Mike Fitzpatrick. Memorials in lieu of flowers may be given to the John Crabb Memorial Scholarship (Kentucky Housing Association, P.O. Box 190, Eddyville, KY 42038).